Northampton Archery Club is committed to protecting your personal information. In this notice, references to ‘we’ or ‘us’ means Northampton Archery Club. This notice explains how we collect and use your personal information. 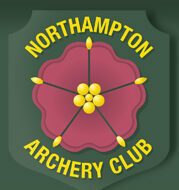 Northampton Archery Club is a sports club. ArcheryGB is our national governing body for archery in Great Britain. ArcheryGB is responsible for all levels of archery within the UK from elite to development level. Northampton Archery Club operates the website https://www.northamptonarchery.co.uk/ (the “Website”). Northampton Archery Club is a data controller under the data protection rules. Northampton Archery Club gathers certain information about you. Information about you is also used by our affiliated entities, namely county, regional associations and ArcheryGB. When you become a member of Northampton Archery Club you will give us information to enable us to process your membership application. Information may include your name, date of birth, postal address, email address, phone number, disability, ethnicity and your archery qualifications. When you fill in our member suggestion page on our website, the information you provide to us may include your name, email address and phone number. When you claim a club record or an achievement badge, information we ask for may include your name, email address and telephone number. If you enquire to join Northampton Archery Club and have not completed your beginners course with us, we may ask you to fill in an assessment form, the information you provide us may include name, email address and telephone number. When you enquire to join a beginners course or taster session, you give us information to enable us to process your request. Information may include your name, date of birth, postal address, email address, phone number, disability, ethnicity and your archery qualifications. When you enter a competition hosted by Northampton Archery Club, you give us information to enable us to process your request. Information may include your name, date of birth (if under 18), email address, phone number and any disability information. When you are at a Northampton Archery Club venue or an event run by us, if you wish to take photographs we will ask you to sign the photograph register in line with the ArcheryGB policy. This information may include name, address, telephone number and email address. Each time you visit our Website, we may automatically collect certain information. This information includes technical information, such as Internet Protocol (IP) addresses used to connect your computer to the internet, browser type and version, browser plug-in types and versions, operating system and platform and information relating to what pages you have viewed but this information is not held against you as an individual, it does not allow us to identify you and is used for reporting and analytics only and helps us to improve our Website. We will only use your information for the purpose in which your information was collected. Legitimate Interest – To send you the enewsletter & other relevant information related to archery. Legitimate Interest – To send you entry forms for future events. When you join Northampton Archery Club you will automatically be added to our newsletter list, this means that we can communicate to you information that is relevant to you as a member of the club. If you do not wish to receive this information you can just let us know via secretary@northamptonarchery.co.uk. If you do choose opt out of this information, we will keep your details on a ‘suppression list’ to ensure that you do not receive the newsletter moving forwards. Associate bodies such as County, Region, ArcheryGB and BBOB RFC so that your membership can be processed and so that they may communicate with you regarding archery events or to allow the associate bodies to manage the running of the sport in their areas. to protect the rights, property, or safety of Northampton Archery Club, Our Members, or others. This includes exchanging information with other companies and organisations for the purposes of fraud protection and credit risk reduction. No data is shared outside of EEA. We require these third parties to comply strictly with our instructions and data protection laws and we will make sure that appropriate controls are in place. We enter into contracts with all of our data processors and monitor their activities to ensure they are complying with Northampton Archery Clubs policies and procedures. If you are under 18, we will also collect the details of your parent or guardian. We will communicate with the Parent or Guardian and not you as the child. We keep records only for as long as required to operate the service and in accordance with legal requirements, tax and accounting rules. Membership – Information will be retained for 2 years, following this period we will anonymise or delete your membership history. Northampton Archery Club will take all steps reasonably necessary to ensure that your data is treated securely and in accordance with this Privacy Notice. Have any inaccuracies in your data corrected. If you would like to update the details we hold about you, please contact our Membership Secretary. Request that we delete your personal data where our lawful basis is consent based. You have a right to request a copy of the personal information we hold about you. We require you to prove your identity with two pieces of approved identification. Please address requests to the Secretary and we will respond within one month of receipt of your written request and confirmed ID. Please provide as much information as possible about the nature of your contact with us to help us locate your records. This request is free of charge unless the request is manifestly unfounded or excessive. The Secretary is the first point of contact regarding any enquiries arising from this Privacy Notice. Where possible, please raise all enquiries in writing. If you are unhappy with our work or something that we have done or failed to do, please inform us in writing. Northampton Archery Club will acknowledge receipt of all complaints and will endeavour to investigate the complaint within 15 working days. All complaints should be sent to secretary@nothamptonarchery.co.uk.